In recent years, the desire for low watt tube amps has gone through the roof. 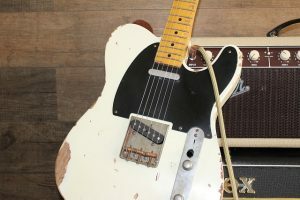 It is pretty simple to work out why, the glorious tone of a tube amp is something most of us love to experience while we are playing guitar, but if you buy a 100-watt tube amplifier the power is going to be too much for many uses. To make sure that you get the balance right between great tone and audio levels when playing at home, and don’t get evicted or blow out your windows, we’re reviewing a selection of the best five-watt tube amps in this article. The benefits of a tube amp (sometimes called a valve amp) with a low wattage are pretty clear to see. You don’t have to lumber around expensive and heavy gear which is overkill for most gigs and practice uses. Playing with friends or playing at home doesn’t require a huge amount of power, and a little 5W tube amp (or a 15W model) is perfect for most of our needs. These are also suitable for gigging in smaller venues as they give a surprising kick for the low power running through them. Larger amps cost a pretty penny, and unless you’re doing massive gigs, this may not be necessary. The tone and voicing we find in the world of tube amps are absolutely iconic. The products reviewed here truly can give the best of both worlds. Let’s get to some reviews of amplifiers. 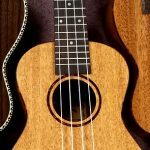 There are models below from brands such as Fender who everyone ever to own a guitar has probably heard of, but there are also brands which have a little less of a high profile. These shouldn’t be discounted, and there are some decent cheap tube amps thrown in for good measure. For the beginners out there, it is important to make a distinction between combo amps and amp heads. Most of the models reviewed are combo amps, which means both the speaker and the amplifier built into one. An amp head is just the brains running the amp, and needs to be attached to a cabinet to produce sound. For amp heads, we recommend a lot of the top Orange amps, of which most are over 5w. Experienced musicians may well be drooling just at the mention of the ’57 custom champ. What an incredible sound we have on offer here from an amplifier which sounds (and even looks) truly impressive. It isn’t the cheapest model out there (you can check the current price on Amazon) but is incredibly high in quality and justifies its price tag. The 5F1 circuitry we see in this amp is nothing short of iconic. It has an amazing dynamic response and even when pushed to the limit, this amp provides some incredible tones. The tubes used in this amplifier are the 6V6 we see often in Fender products. Without going into too much detail about electronics, this is the ‘signature’ of the sound and means that many experienced musicians can tell a Fender tube amp just by hearing it. As well as all of this, the Fender is easy to navigate and use, generates a beautiful natural distortion when you start to crank it and has a wide variety of tones. Perfect for using as is or pairing with your favorite pedals. All the benefits of a vintage Tweed amp combined with all the benefits of buying a new amp and not having to pay for vintage. The ’57 Custom is built with incredible craftsmanship. Hand-wired and built using only the best components. This is reflected in the price. If you’re a beginner, it may not be realistic (or wise) to part with the amount of money this costs, but if you are looking for an amazing amplifier for recording and are happy to invest, look no further. In terms of price, you could accuse us of going from one extreme to the other by including the Monoprice as our next product. The brand may not have all of the history some of the other manufacturers do, but this cheap five-watt tube amp shows that the brand can pack a punch. If you want an amazing vintage amp, maybe spend a little more and get something that has a few more features, but this is not an amp to be underestimated. The 8 inch Celestion speakers are one of many reasons that this truly is a gem at the lower end of the price point. Celestion is a big name when it comes to making speakers and the fact that these are on offer at this price point is pretty incredible. If you are a beginner, a quick scan through the reviews of the Monoprice will show you a huge amount of people speaking positively about what is on offer. Rich harmonics make this a great tube amp for blues, a crunch which could be compared to vox amps three times the price and all the features you could wish for if you’re just starting out. This also has plenty of power for home practice and gigging in smaller venues. 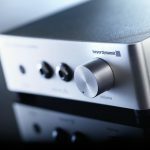 Many people are unsure when just starting out whether to go for a tube or modeling amp, but with tube amps like this available at such a great price, we recommend the Monoprice for those on a budget. Lets say you are getting your first real guitar setup and want something electric, combining the Monoprice with a Squier model of electric guitar can see you create a great sound and still spend under $500. On to an amp with more of a modern feel to it. Blackstar’s brand has a lot of hi-tech products, and the HT-5R includes some very impressive features for those who need their amp to be versatile. In terms of price, this sits somewhere in the middle of the spectrum. In terms of sound, it is a mighty impressive product. 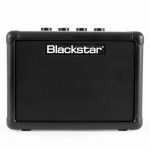 Blackstar have managed to recreate the crunch and tonality of a 100W product, just at a lower wattage and volume. This is mainly down to the fact that it uses a 12BH7 Dual Triode valve for producing the sound. An inbuilt ‘ISF’ switch gives a lot of control of voicing. You can make the amplifier model a more British valve sound or a more American tone. Not many amplifiers have the ability to provide both. There is a version of this amp, the HT-5C which doesn’t have the reverb module included, but we were so impressed by the tonal options this reverb provides that we’ve recommended the HT-5R. Both models do a good job and which you opt for will come down to personal preference. Well, we know we said 5 watts in the title, but Vox are one of the best manufacturers of tube amps ever, and we simply had to include the AC4TV, an incredible little beast falling in the microtube amp category, offering iconic Vox design and sound with a low wattage. The volume on offer here is actually quite shocking for a four-watt amp. Plenty for playing around and recording at home or even recording in a studio environment. A simple layout gives the user control of Volume, Attenuator and of course Tone, which can provide an array of different audio voices. As with most Vox amps, this really comes alive when hooked up to pedals, and starting to play around with distortion and the other components of your pedalboard can give a gorgeous Vox crunch and tone. An output jack gives you the option of extending your AC4TV with an extension cabinet, this can give you a huge amount more in terms of tonal possibilities and volume, and can be great for gigs where you just need that extra oomph. Simple control interface and line output jack. Reviews elsewhere, as you may expect from a Vox amp, are very good. 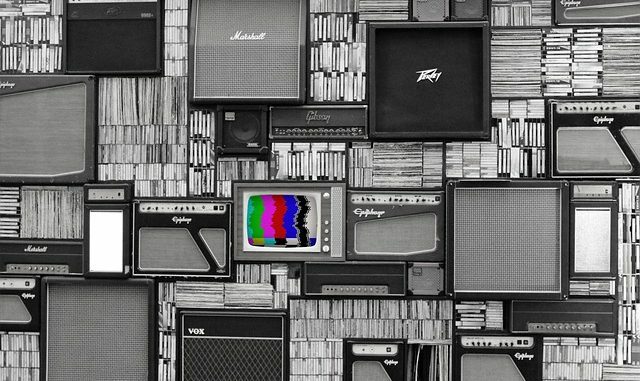 Most people have spoken about the AC4TV in high regard and its design (the iconic TV style front of the amp) and craftsmanship and build quality play a big part in this. As usual, we have nothing but praise for Vox, and this small but punchy amp can be a great home, tube or even a modest gigging amp. Completing the set of top amplifier brands, we just had to include the offering from Marshall. The DSL5CR is quite possibly the most versatile product mentioned, great for blues, metal, rock and just about any genre and style you could imagine. It comes at a fairly hefty price, and certainly isn’t the cheapest app, but the quality justifies the price. This is a very compact combo amp, and the controls are very impressive. As well as having gain and volume controls for each channel, this has an effects loop and an inbuilt reverb with an impressive sound. The adjustable power level means you can play at 5W or a separate 1W mode for quieter practicing. The softube speaker output is great for recording. This even has an EQ module which lets you customize your tone completely to your own unique needs. DSL or Dual Super Lead amps date back to the 1990s and have been a resounding success for Marshall. This success continues with their 5W valve amp which can emulate a huge amount of sounds and has inbuilt effects ready for you to create the exact sound you are looking for. It may not have the ‘vintage’ or tweed feel some of the others do, but the modern functionality more than makes up for this. Popular with audio lovers everywhere. People ask this question all the time when talking about 5W tube amps. The technology differs from the other amplifier models out there, meaning 5W for a valve can pack a hefty punch. Don’t get me wrong, it may not do the job at a stadium gig, but for recording, home recording and band practices, as well as reasonably sized gigs, 5W can truly be enough. There seems to be a jump after 5W to 15, if you do want that extra bit of power, a good 15-watt amp could be your answer. If you’re still trying to wrap your head around tube amplification, and why people prefer these amps, the video below will help you out. Most of the speakers in the valve amp reviews above are 8 or 10 inches. Small speakers like these are great for studio use, their tone is focused and they respond well to the high-end frequencies. 12 inch speakers and 15-inch speakers are also great, but as you use bigger speakers they start to respond to the low-end more. Having a built-in EQ can be a big bonus and ensures that you can create the sound you are looking for, whatever speaker size you have. Guitar products often split opinion. 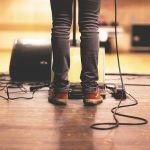 The truth is that creating your own signature sound is what is important. To do this, you will likely have your idea of what features you are looking for. Of course, we are also restricted by budget and this will sometimes play a part in your decision. 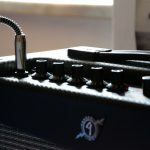 The 5W (and other low watt tube amps) we’ve mentioned in this article cover a lot of different price points, and we’ve been careful to try and include an option for every guitarist out there, from beginner hobbyist to stadium-touring professional. 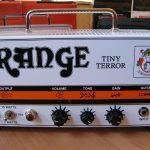 Tube amps (or valve amps if you prefer) are something most guitarists will consider buying at some point. The sound they can offer opens up a world of possibilities, and the superb brands mentioned above are helping to create amazing tone around the world. If you have anything to add, or any experience with low watt and 5 watt tube amps, feel free to drop us a comment below, we’d love to hear how you’ve found these (or any other) products.